• Support: This is Big! Biography: Gospel Tabernacle is located in a small village and trading center just kilometers from the Nile River and five miles from Jinja town. Jinja has a population of about 20,000 people. The Lord guided Stephen and Miriam to build up an army of intercessors to pray for the sanctification of the Nile River and Lake Victoria because God showed them that there is much witchcraft and wickedness going around the source of the Nile. Besides their regular weekly service, they gather once a week in believers' homes to intercede for their area, country, immediate needs and everything else the Lord guides them to pray about. Stephen and Miriam have a vision to reach out to as many children as the Lord will allow them. They have a desire to ground the children in Christ as they are still young, to teach them the word of God and show them the love of Christ so they will grow up into youths who know Christ. Their target and future plan is not only to the children in the church, but also to the children outside the church. The church's youth ministry encourages evangelical participation in the church and through community work. The church is committed to prayer, evangelism, discipleship and church growth. 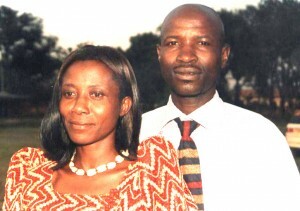 They have a hospital visitation ministry and are planning to begin a prison ministry soon. Stephen has visited and preached in Kenya often and has a desire to preach worldwide. He is believing that God will pave the way for them. Strengths: Stephen excels in the gifts of preaching, teaching, exhortation, love and compassion, and really likes to reach out to people with the Gospel. Windows Media Player or Quicktime is required.